As healthcare workers in the Democratic Republic of Congo currently struggle to contain a rapidly growing Ebola outbreak, we are not only reminded of the devastating effects of this vicious disease but also the ways in which engineers contribute their skills on the frontlines of global health emergencies, working to build resilient healthcare systems under the most extreme conditions. 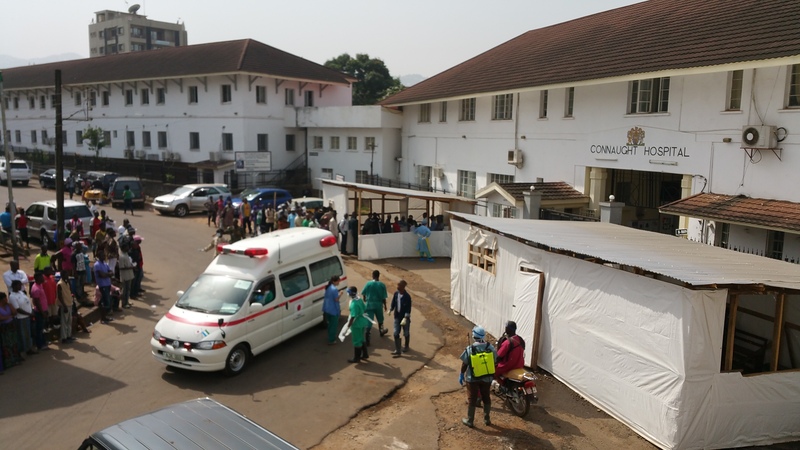 In light of this most recent outbreak, we’re sharing a behind-the-scenes look at our role in creating Sierra Leone’s first-ever Centre for Excellence for Infectious Disease Chest Clinic during the world’s most deadly Ebola outbreak. This story reveals all that goes into keeping a disease from spreading, while highlighting the extraordinary efforts of one of our most talented and compassionate engineers, Gerard Dalziel. 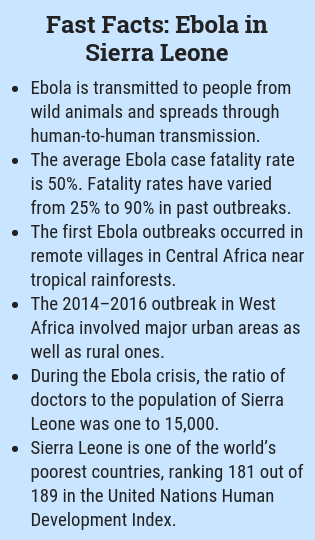 The December 2014 – June 2016 Ebola outbreak in West Africa was the largest and most complex outbreak since the virus was first discovered in 1976, resulting in 28,616 cases and 11,310 casualties. Over those 18 months, as the outbreak intensified, the crisis evolved into a complex humanitarian emergency. The speed at which the Ebola virus spreads, its devastating effects on victims, and the number of medical personnel infected all compounded to leave Sierra Leone with an unprecedented healthcare crisis and significant loss of life. There were many lessons to be learned from this outbreak. For Sierra Leone, the strains on an already fragile healthcare system became overwhelming. Amid the daily ravages of Ebola, the country set out to shore up its healthcare system and bring it up to international standards. When Gerard arrived in Freetown, a city of just over 800,000, in January 2015 there was a hint of optimism in the air. At the peak of the Ebola outbreak, the city had been experiencing 160 cases per week but the number had recently dropped to 70. Though the numbers were decreasing, the scale of the disease far outpaced the city’s ability to contain the outbreak. The government of Freetown was taking drastic, yet necessary, steps to slow the spread of the virus; quarantines and bans on public gatherings were frequent. With bars, theatres, restaurants, schools and private hospitals closed, the city had ground to an eerie standstill. It was in this context that Gerard, staff from Connaught Hospital, and some of the country’s premier infectious disease specialists began work reconceptualizing the site that would become Sierra Leone’s ground zero for fighting Ebola. The team’s ultimate goal was to repurpose an old tuberculosis (TB) clinic into the country’s first-ever infectious disease clinic. The back of Connaught Hospital faces the Atlantic Ocean, and the view is nothing short of breathtaking. Established in 1912 by the Duke of Connaught to provide medical service to the people in the Colony, Connaught hospital is Sierra Leone’s central and oldest medical facility. Transforming historic Connaught Hospital into an infectious disease clinic required making significant enhancements to the facility’s basic infrastructure, including adding a second floor to the building and redesigning the interior to provide a safer environment for both staff and patients. These improvements were key to improving patient flow and to providing medical staff with rooms specifically designed to ensure safe and effective medical care. 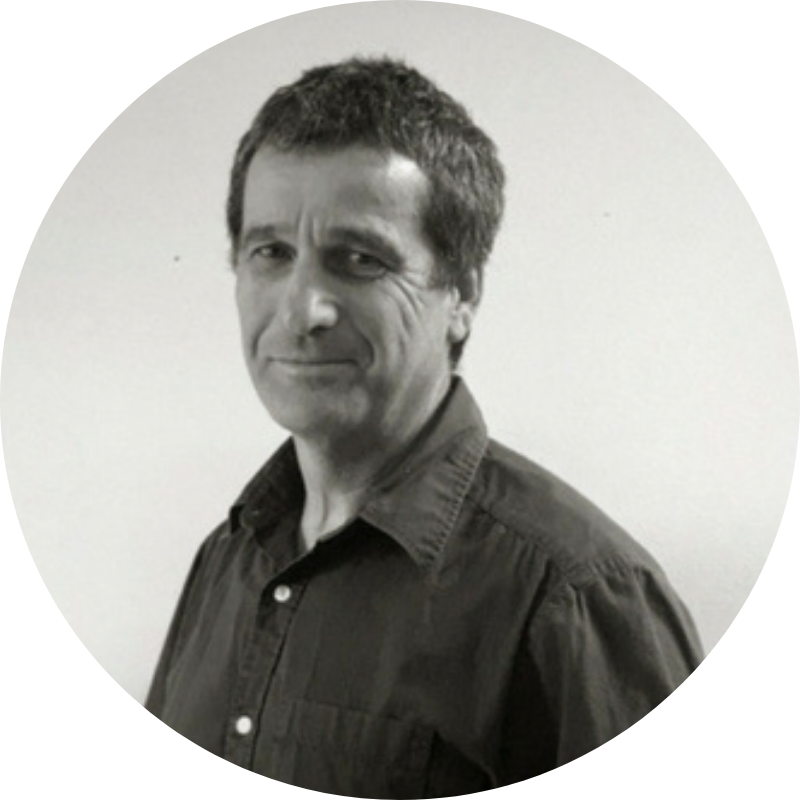 Working in collaboration with disease specialists and staff from King’s College in London, Gerard served as a translator of sorts, incorporating their knowledge of disease transmission and patient and safety protocols into a workable blueprint for the renovations. One of the first projects the team undertook was the creation of a new oxygen factory. A reliable source of clean oxygen is crucial for stabilizing the conditions of infected patients. With Gerard overseeing the construction, the oxygen factory was relocated to a bigger space with proper ventilation and an oxygen bank for housing the concentrated oxygen supply. In addition, moving the hospital’s tuberculosis (TB) clinic off-campus so the space could be repurposed for the infectious disease clinic was essential. As part of his responsibilities, Gerard oversaw the protocols for the new building plans including assessment, creation of a safe and linear flow for the handling of contaminated materials, and the enhancement of staff communication resources with voice CCTV and intercoms. While shifting the TB clinic, construction on a new screening hut began outside the front gates of Connaught. Connaught Hospital’s entrance was previously a crowded area crammed with people waiting to be treated, with no system for prioritizing patient conditions. This new screening hut would serve as the first stop for potentially infectious patients. 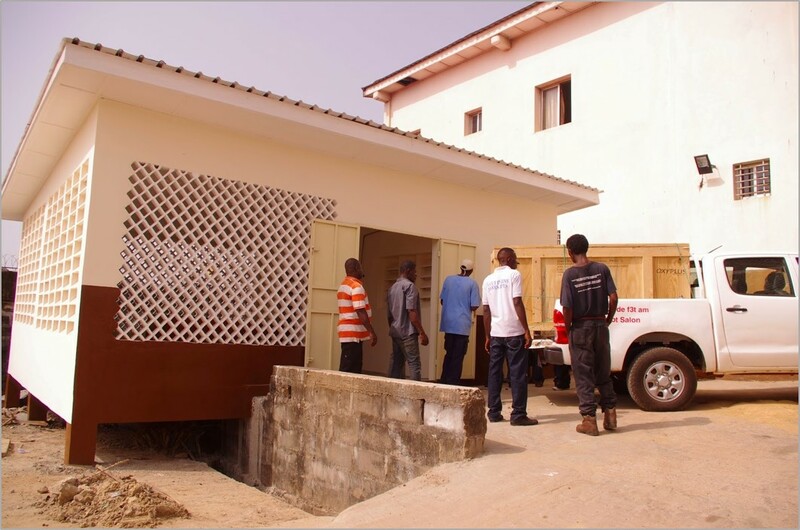 The hut allowed for a more streamlined process, separating infectious patients from others, and was a critical step toward reducing community members’ fear of being infected with Ebola while at the hospital. The completion of the screening hut marked the end of Gerard’s time in Sierra Leone, but not the end of his work with Connaught Hospital. Working remotely from the United States, Gerard provided crucial design assistance for the second floor structure for the infectious disease clinic. This process included confirming the dimensions for the new facility, identifying structurally dependent walls, and, the greatest technical challenge: establishing a system for open communication. Gerard’s efforts in Sierra Leone go far beyond Ebola: The new infectious disease clinic houses patients infected with a drug-resistant form of TB. And, thanks to the new oxygen factory, Connaught Hospital has provided a reliable source of oxygen in wards, ambulances and even other hospitals, and has seen a 30% reduction in ICU mortalities. Gerard’s skills and dedication leaves Freetown’s healthcare system better equipped to handle future medical emergencies. While we hope to never see another global medical crisis on the scale of the 2014 West African Ebola outbreak, we are certain that with the expertise of engineers like Gerard we can continue to build stronger healthcare systems, healthier communities and ultimately, a better world.